This page is for the Warmastered Edition. For the original release, see Darksiders. Updated version of Darksiders with enhanced graphics: support for up to 4k resolutions, doubled all the textures resolution, re-rendered cutscenes in high quality, higher resolution shadows and enhanced post processing effects. Fixes several issues from the original port. Includes a save conversion tool. Bundled with Darksiders as a separate download. 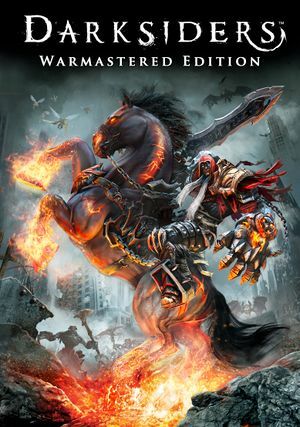 The game was granted to all owners of Darksiders at no cost. Delete, remove, or rename kaiko_logo.wmv, main_menu_intro.wmv, start_screen_intro.wmv, THQNORDIC_LOGO_Color_white.wmv, and Vigil_Logo1280x720.wmv. Run the game. The game should now take you to the logo screen and main menu immediately. If no save data is found and there's data in original games save game data path, game offers to import it. 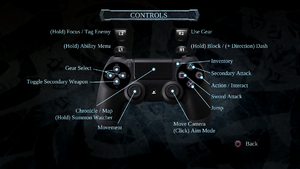 Steam Cloud saves for Darksiders will be detected and, with permission, can be converted. FPS cap raised to ~330fps after Hotfix #2. 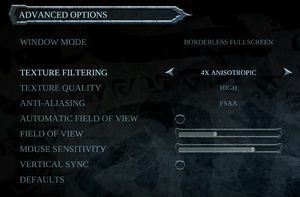 Automatic FOV option results in Vert- FOV scaling on widescreen. Manual FOV slider uses vertical FOV ranging from 20° to 90°. Set field_of_view to the desired vertical FOV. See FOV Calculator for help. 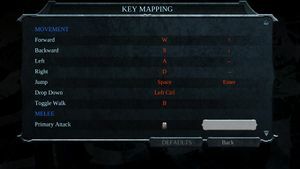 Native borderless mode causes the game to minimize when losing focus. Start the game in a window. You can follow this STEAM guide if you're having problems with the prompts. Only the device used to press "start game" can be used. Unplugging controller locks the game, regardless of if it was in use. 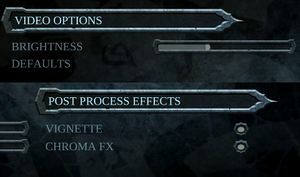 See Helix Mod: Darksiders Warmastered Edition - 3DV-Fix - Losti - V1.2. When being played for the first time in session, sound gets desynced with a video in pre-rendered cutscenes. Noticeable by music and sounds effects being much more quiet than the voices in pre-rendered cutscenes. Game will lock up completely with this message on the screen if controller gets disconnected. Only way to continue is to reconnect the controller, which only work with XInput controllers. With other controllers the game must be forcefully closed. 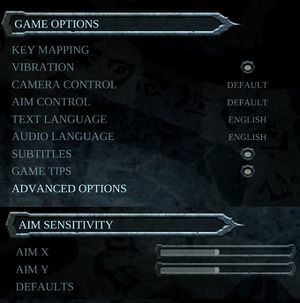 Game language will fallback to computer language if you change menu language. Enable VSync from Advanced Options. ↑ 1.0 1.1 File/folder structure within this directory reflects the path(s) listed for Windows and/or Steam game data (use Wine regedit to access Windows registry paths). Games with Steam Cloud support may store data in ~/.steam/steam/userdata/<user-id>/462780/ in addition to or instead of this directory. The app ID (462780) may differ in some cases. Treat backslashes as forward slashes. See the glossary page for details. Intro and video files were moved to a different folder and the game skipped these videos, launching immediately into the main menu.